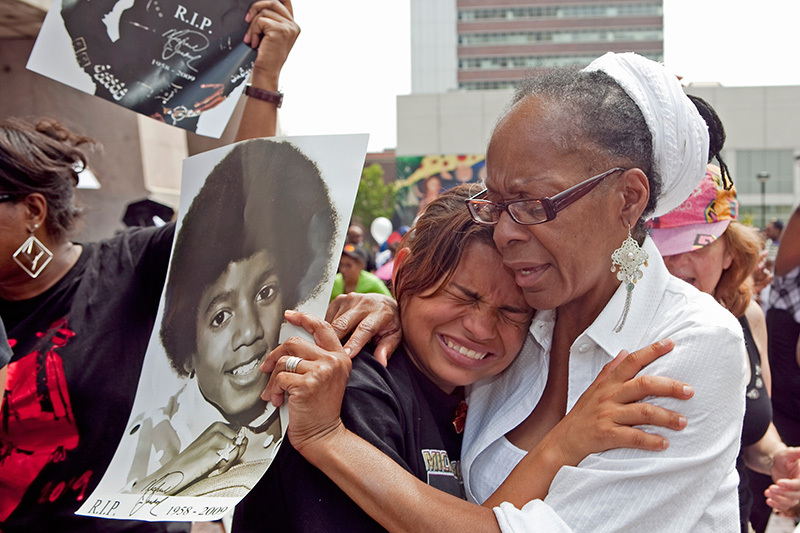 Jessica Salazar (left) is consoled by another fan when she is overcome with grief during the public broadcast of Michael Jackson's memorial service in Harlem on July 7, 2009. Fans came out in droves to remember Jackson. Michael is available for editorial, portrait, fashion and commercial work worldwide.